As the approach to Good Friday reaches its final sections, and Christians around the world prepare to amplify the resurrection of Christ which drives their hope every day, a question has been orbiting my meditation on the death and victory of Jesus which I have found difficult to dismiss. As a Christian with Reformed convictions I have read quite a number of books, enjoyed many conversations, and been blessed by countless sermons on the particularity of the redemption that the Saviour has secured through his death on the cross for his people. I have no theological qualms about particular redemption properly understood, nor does it practically affect my contention that true preaching emphasises the free offer of the Saviour to all without distinction. However, an area where I have heard – and can find – little counsel is with regard to the generality or particularity of Jesus’ resurrection. In this post I want to think out loud about the question ‘for whom did Christ rise?’, teasing out some of the Scripture’s teaching on this theme, thinking about its significance to our understanding of redemption, and its practical effect on our hope. The difficult texts of Scripture are easily ignored, and yet their proper exegesis can yield tremendous blessing to our hearts as Christians. Romans 4:25 is a passage which is often denied its proper voice, which is interrupted mid-sentence, or pickpocketed for the valuable gem it contains about the cross. There are few Christians who will not cling to the truth that ‘he was delivered up for our trespasses’, but we tend to tail off into vagueness when it comes to ‘and raised for our justification’. Where does this fit in, what does it mean, how does this statement square with our cruci-centric approach to atonement? Part of the difficulty with the statement, ‘raised for our justification’, lies with the preposition διὰ which translates as ‘for’ in most of our English Bibles. What does Paul mean that Christ was ‘delivered up for our trespasses’, and raised ‘for our justification’? The initial phrase seems easy to unravel – it was because of our trespasses that Christ was delivered up but, as Schreiner argues, there appears to be a parallelism between this and the ‘for our justification’. In other words Christ was raised because of our justification. This seems awkward and angular, and much less smooth than ‘he was raised in order to effect our justification’. Biblical scholarship will likely never unravel this conundrum to everyone’s satisfaction, but at the very least we can identify Christ’s resurrection as being significant in terms of the work of redemption, that it is part and parcel of the whole of Christ’s achievement as our Mediator. It is under those terms that the question of ‘for whom did Jesus rise?’ becomes ever more relevant. If his work on the cross was for the sake of his people, for whose sake was the resurrection? There would appear to be a logical necessity that the life giving benefit of the resurrection is intended for the elect, that it’s qualitative effect of either producing or guaranteeing justification is for those whom God has chosen in Christ before the foundation of the world. In thinking about the extent of Christ’s resurrection, it is vitally important not to confuse categories. It is the power of Christ Jesus which will raise the just and the unjust at the final day. In speaking before Felix, Paul could proclaim that ‘I have a hope in God, which these men themselves also accept, that there will be a resurrection, both of the righteous and the unrighteous’. Jesus himself spoke of the fearful reality of those who shall be raised ‘to the resurrection of condemnation’ (John 5:29), and the Westminster Confession is surely correct in asserting that ‘the bodies of the unjust shall, by the power of Christ be raised to dishonour’. In this sense all share in the resurrection of Christ, that even the condemnation of those who are unrepentant is dependant on his utter Lordship over sin, death, and hell. Here the Saviour appears to be linking the Father’s electing will with the final outcome of his own people being uniquely raised to life, as part of the guarantee of the efficacy of Christ’s mediatorial work. When we combine the logic of Jesus being raised for our justification, his clear linkage of election and resurrection, and Paul’s favourite motif of ‘firstfruits’, we see a powerful composite picture of a particular resurrection unto life. Paul delighted in the firstfruits image with regard to Christ’s rising from the dead. 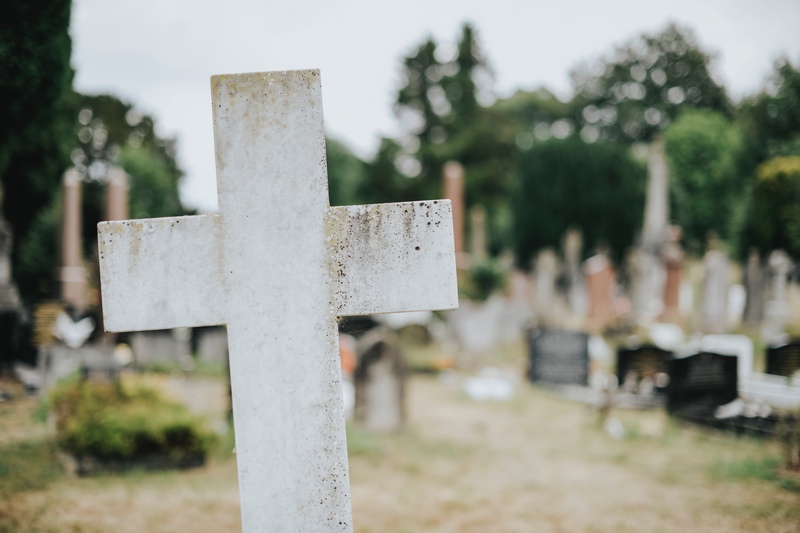 In insisting on the truth of the resurrection to the Corinthians Paul intimately links the believer’s resurrection with that of Jesus – ‘Christ has been raised from the dead, the firstfruits of those who have fallen asleep’ (1Corinthians 15:20). The basic meaning of firstfruits demands that we see the final harvest as certain – the firstfruits being the guarantee that the harvest would come in, with all its fullness. This has huge ramifications for our understanding of resurrection – that of Christ Jesus, and our own. If Jesus is risen from the dead then the sheer power of that event, its magnitude and death reversing gravity, demands that it be effective in all for whom it was intended. Otherwise the metaphor of firstfruits is robbed of its effectiveness and semantic intent. Garland rightly notes that ‘Paul assumes that the representative determines the fate of the group’ (emphasis mine), and this can only be the case if there is saving intentionality behind Christ rising from the dead, just as there was in his laying down his life for the sheep. This biblical picture of Christ rising for his people is highlighted here not as a point of contention, but as a further ground for confidence on the part of the Christian. What we celebrate this coming Sunday is not a happy ending to a bitter tale, it is not the turnaround which Hollywood so adores, but is the world-changing moment when Jesus actually, physically rose – and this resurrection has huge application for us. As a result of his being risen we have hope, not that he might save us, but that he most certainly has and will, not that his people might live, but that convenantly and irreversibly we shall. Jesus rising again and the believer’s hope of the same destiny and glorified body have been characterised by Sloan as ‘comprising the total event of the resurrection’. Because Christ lives we most assuredly will also, not because we desperately cling to his glorified coat tails, but because he died to save his people, he rose to raise them, and nothing in all creation can separate us from the fact that those whom he justified these he also glorified. Next The wrong side of history?